Ice cream for everyone! That could be the motto of the fest. RBTH presents a digest of Russia's most delicious culinary events from June 15-21, 2016. The sites that hosted the healthy dishes of the Our Products festival will be taken over by sweet frozen treats starting this weekend. The Moscow Ice Cream festival will open June 24 and feature the best ice cream from across the country. The festival will last until July 10 and the locations can be spotted by looking for the event’s symbols — polar bears and pink penguins. 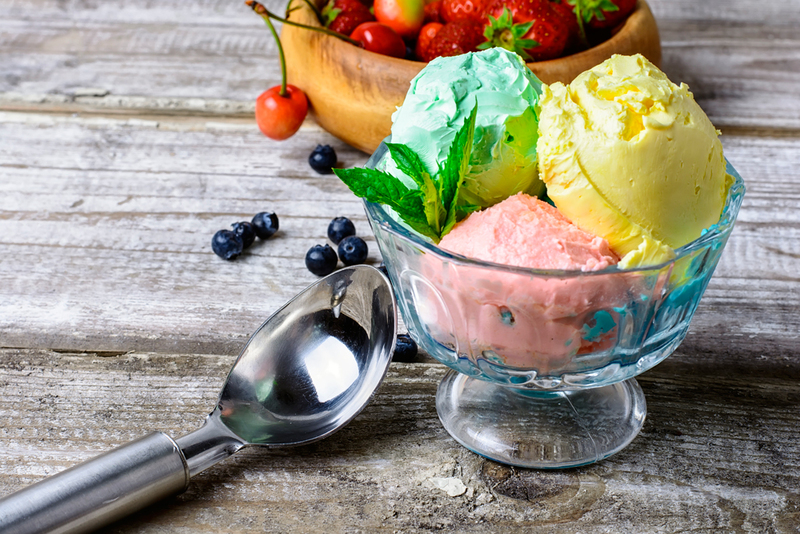 The available options will include traditional flavors like chocolate ice cream and fruit sorbets along with more exotic, but still recognized favorites, such as caramel creme from Kuban and soft Italian gelato. Those interested in trying something more interesting can seek out stalls offering the tastes of bubble gum, sesame and charcoal. There will be options for everyone at the festival. Those who are vegan or lactose-intolerant can try ice cream made from rice milk, cocoa milk and herbs and spices; athletes can try high-protein varieties and those who aren’t big ice cream fans can instead opt for chocolates or cookies. There will also be frozen yogurt. Organizers say the cost for one scoop will range from $1-$1.50. The festival will also offer visitors the chance to make their own ice cream in master classes. From June 20-July 3, Moscow’s most elite restaurants will offer more egalitarian options as part of Moscow Restaurant Week. Fifty-five of the Russian capital’s best-known eateries have created special three-course menus for a set price of 1200 rubles ($18.50). Even though restaurants such as Delicatessen and Ugolek, known for their meat dishes, are participating, this event is not for carnivores — the menus will only feature fish or vegetarian offerings. The main theme of the Week is combining unexpected flavors — fish with fruit, sorbet with cheese. Don’t miss your chance to try it all! The list of restaurants and menus can be found at moscowrestaurantweek.ru (Russian only) or via the MRW app, available exclusively in the Russian App Store. On June 25, the capital of Tatarstan will get just a bit happier. One of the squares of Kazan will be taken over by a giant smiley emoji made of multicolored cookies. The emoji will take up 90 square meters. According to event organizers, the biggest smile in Russia will appear in Kazan because the residents of that city express the most positive emotions — both in person and via messaging. Everyone is welcome to participate in creating — and then eating — the smiley. An official representative of the Russian Book of Records will be on hand to record the accomplishment.